Earlier this week I had the opportunity to meet with the Laura Mercier team at their Headquarters in NYC to get my makeup done and talk beauty tips and skin advice! We started by having a quick chat about my skin so that they would know which products would be best for me. I already have their Tinted Moisturizer Broad Spectrum SPF 20 Sunscreen and Foundation Primer Radiance in my makeup drawer so I was excited to try more Laura Mercier products! Gabriella (global makeup artist apart of Laura’s team) told me makeup is like a manicure, you need to apply your base coat (moisturizer, primer, eye cream) two coats of polish (foundation, bronzer, blush) and your top coat (powder). Laura Mercier is known for her speciality of creating a flawless face and that’s exactly how I felt my face looked once my makeup was finished! The thing I loved the most was that I didn’t feel like I had makeup caked onto my face, everything blended and looked so natural. The products enhanced and complemented rather than transforming and covering my face. Brought to you by Laura Mercier. Love your cute dress. The makeup looks beautiful! You are such a natural beauty! Laura Mercier has some amazing products for face and body that I simply adore! Your makeup look so good Rachel! I love that she kept it natural and didn’t go over the top. Ps–the braid is adorable. Such an amazing experience! Thanks for sharing! Gorgeous dress! 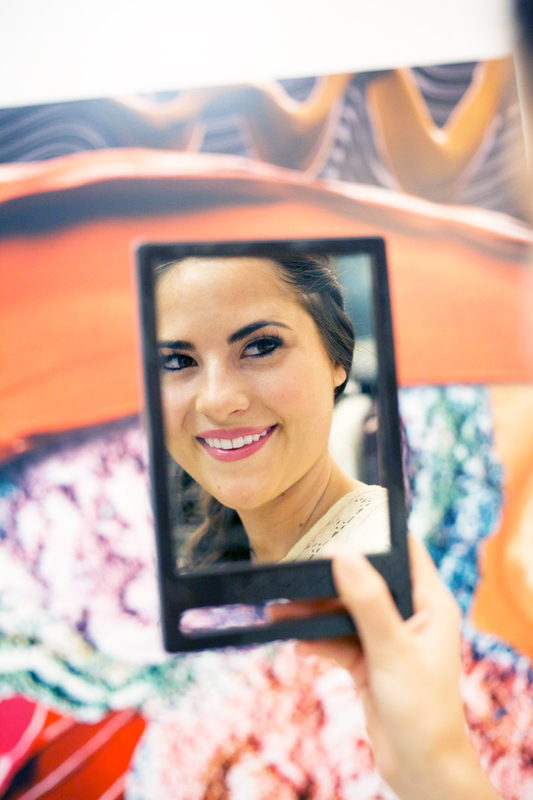 You look gorgeous…their makeup really is the best! I am a huge fan of the Laura mercier tinted moisturizer! Just wish it was spf 30 which is the minimum recommended spf in our dermatology clinics. A doctor’s guide to health and beauty! Gorgeous! Such a pretty braid, and I’m loving the makeup! Too sweet! Looks like an amazing experieince! Love their products. Love that braid and lip color on you! That is awesome you had the opportunity to meet with Laura Mercier team! Your makeup look flawless, love this look! Sounds like so much fun at NYFW! That lip shade looks great with your skin tone. Very flattering and natural. I have only tried one of her products, but I liked it! I love how you said this didn’t make you feel like your makeup was caked out. . . I hate that trapped feeling that comes with having a lot of makeup on. Love this post! Laura Mercier products are the only makeup I’ll use. I’ve noticed such a huge change in my skin since switching to her products! Love the post! You look beautiful! So fun! Laura Mercier is one of my favorites!! I like that natural makeup on you very much! Have a great day! Your makeup looks beautiful and very natural. Thanks for sharing about this cool experience! Such a lovely post. Saw snippets of this on your Instagram… that dress is so pretty. I don’t really wear make-up… but sounds like you got some great advice! I love that last sentence! That’s when you know you’re using the right type. Great post! Can’t wait to hear what tips and tricks you learned. Your makeup looks fresh and bright, so lovely. I swear by their tinted moisturizer! Gorgeous! I love how you styled your hair, too. All that makeup is heavennnn. You look so gorgeous! Loving the makeup, but the dress is my favorite! Is that going to be a separate post? 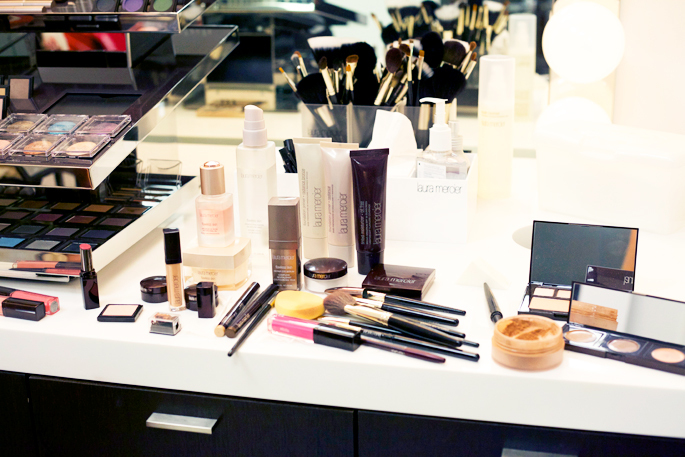 This makes me want to get my makeup done ASAP! I love the makeup look, Rach! I always prefer a natural look rather than a complete transformation. She simply enhanced your features and gave you such a flawless finish. Thanks for sharing your experience! I hope your day is as fabulous as YOU! I love Laura Mercier’s translucent setting powder! It’s the absolute best! Their Oil- Free Tinted Moisturizer is pretty much my favorite tinted moisturizer ever. It goes on incredibly smooth and doesn’t wear off after a few hours like most tend to do. Ummm HOW AWESOME IS THIS?! I love love love Laura Mercier! 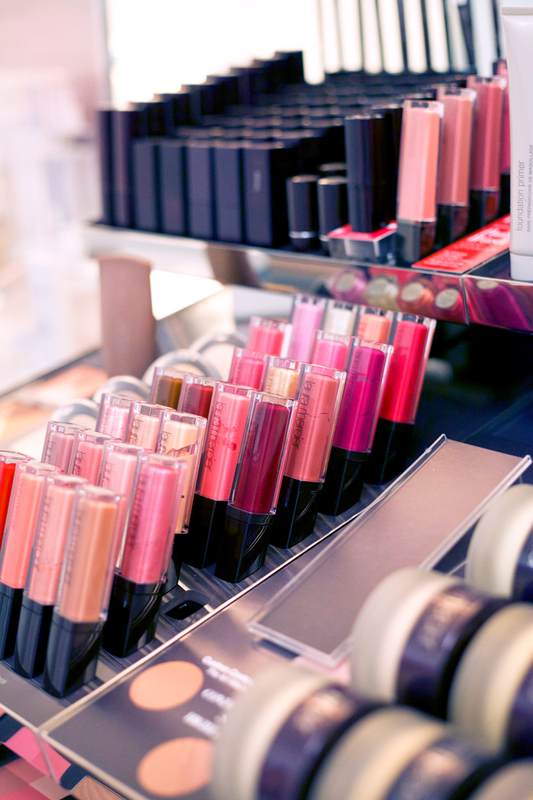 Make-up Heaven!!! I love your dress too! You look super pretty in your makeup and I love your dress! love the floral detailing on your dress! love that free people dress! so cute! Oh,I love their products! You look beautiful and love your dress! So so beautiful!And love that dress on you! Great post! I’m currently searching for makeup products and these sound amazing! natural and no-makeup feeling is exactly what I was looking for, so I’ll be definitely trying them! thanks!! What an experience! I can’t wait to see where you go on your next Fashion Week adventure Rachel! Stunning make up on you Rach! Hi Rachel can you please tell me what lip color you are wearing?